More and more communities across the country are encountering a commonly overlooked public health and safety issue: improper needle and sharps disposal. “Sharps” is a medical term for devices with sharps points or edges that can puncture or cut skin. 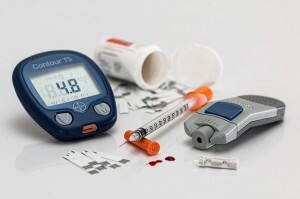 Examples of sharps are needles, syringes, lancets, auto injectors, epinephrine and insulin pens, infusion sets, and connection needles/sets. The group of people who are put in the most danger by improper sharps disposal are environmental service workers – janitors, housekeepers, waste and recycling workers and sewage treatment workers. When a needle is tossed directly into the trash, it has the potential to stick whoever removes that trash. So the janitor may get stuck, the garbage-man may get stuck, and the waste-worker at the waste facility could get stuck. It is also possible for an animal to get to the needle or for it to tear through a trash bag. Any of these scenarios may ultimately expose the needle to neighbors and children. Such injuries cost thousands of dollars in medical testing and cause great stress on victims. Sharps that are placed in the recycling can also jam or damage machinery at sorting facilities. If flushed down the toilet, sharps can cause sewer blockages as well as other problems with wastewater collection and treatment. Over 9 million Americans use sharps every day at home to manage a wide variety of conditions, including: allergies, arthritis, cancer, infertility, migraines, multiple sclerosis, osteoporosis, blood clotting disorders, psoriasis and more. On top of that statistic, there are over 100 million American adults who use lancets on a daily basis to manage diabetes. Billions of sharps are used in households yearly and the numbers keep increasing. Research shows that people who use sharps to manage chronic conditions know it is their responsibility to safely dispose of the sharps, but lack clear, factual information on what to do. Much of the existing information does not personalize disposal guidelines for people in every state. Patients are too often given “the run around” when it comes to sharps disposal. Since 2014, NeedyMeds has managed an online resource dedicated to providing information on safe disposal options for all types of home-generated medical sharps. The website is SafeNeedleDisposal.org, and on a typical day during the week attracts around 800 visitors. Over the last three years, NeedyMeds has made the website the most comprehensive resource for patients who take medication that requires self-injection. However, regulations can vary from state to state and in some cases, locality to locality. Visit SafeNeedleDisposal.org for local information. On the homepage, simply click on a state to learn about various disposal options or use the ZIP Code search. If local regulations do not allow sharps to be disposed of in the household trash, SafeNeedleDisposal.org provides information on alternatives. Options may include taking used sharps to a drop-off site, to a hazardous waste collection event, or participating in a mail-back or container program offered by some pharmaceutical companies. Patients can also call 800-643-1643 to learn about disposal options. Our helpline is open Monday-Friday, 9am-5pm EST, and our call center counselors are happy to answer any questions you have about disposing of your sharps.